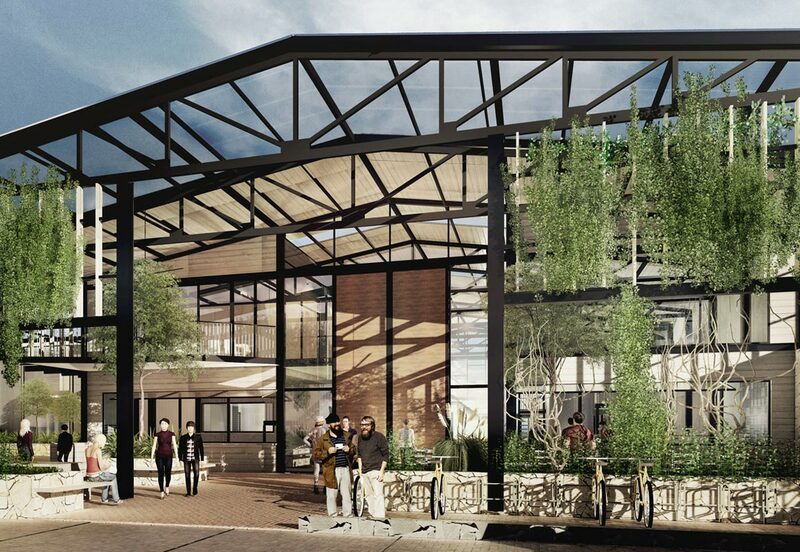 The Stone & Wood Brewery project is located in the Arts and Industry Estate at Byron Bay. The Brewery consists of three connected sheds around a paved courtyard. 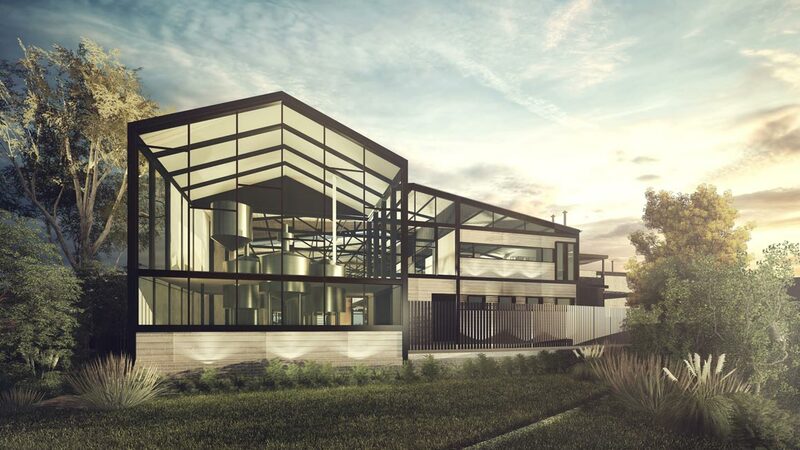 The main focus is the working brewery, but the precinct also includes a public ‘cellar door’ for tasting, staff offices, a pilot plant for experimental ales, packaging line, and services. The sheds have a combined area of 2000m2. The initial brief was that when somebody came to the precinct that ‘they could visit the Stone and Wood family’. The design process started with this. 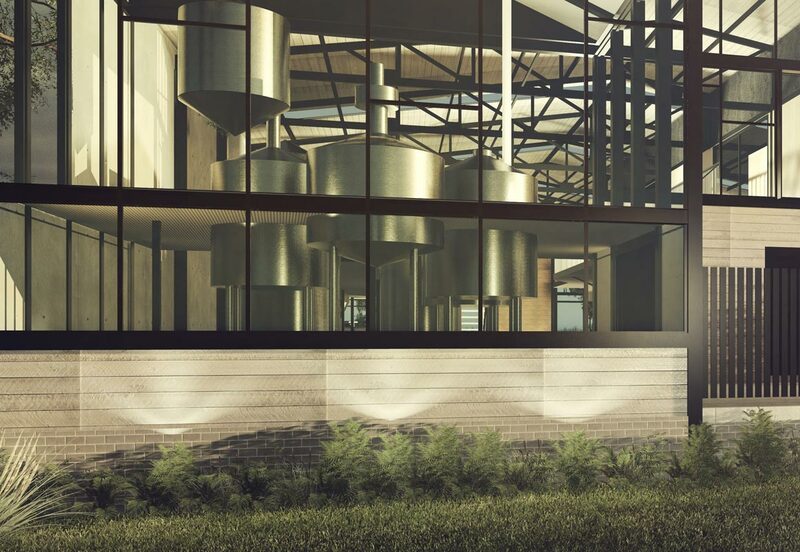 All the Sheds are open-able and ‘breathable’ which allows for passive cooling as well as connectivity between the public and the working parts of the brewery(including staff offices). Other than the offices, there is no air-conditioning in the building. The shed ventilates naturally from north to south in summer. The enclosed courtyard at the north of the building has a couple of mature trees, and hanging gardens with native succulents and vines. Water misters are set up in this space to cool the air before it enters the building and cool down the outdoor space during warm summer months. © 2019 Harley Graham Architects.